Enlightenment for Dummies-The subject of Enlightenment can be very confusing. The objective of this book is to introduce the concepts to readers and explain some of the processes to help seekers reach this Spiritual state. Also includes the Author’s experiences with Enlightenment. Physical Immortality: A History and How to Guide-An intensive exploration of the history of immortality, records of very long lived persons, a theory on how immortality works, and how we can each increase our life spans to incredible ages. Includes spiritual practices, energy related exercises, and recommended supplements to help you improve your health and the length of your life. Removing Illusions to find true Happiness–What true happiness is. How we live in our illusions for most of our lives. Many examples of these illusions and how to find true happiness by removing our illusions about ourselves and reality. Prophecy: A History and How to Guide—We all have the ability to see the future. Goes through history of prophecy, divination methods, and how each of us can learn to see the future. Includes many personal experiences and the author’s insights into how he can see the future and change it too. Using the Scientific Method to Study the Paranormal-An analysis of the scientific method, flaws in the scientific examination of the paranormal, and how we can use science to study paranormal events. Includes the scale of believability and explanation and diagrams on the limits to science. 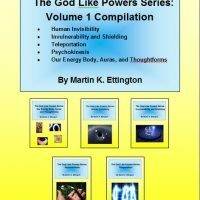 God Like Powers and Abilities-An encyclopedia of superhuman abilities including teleportation, invisibility, healing, psychokinesis and much more. Covers many strange abilities such as a woman who lived normally but didn’t eat or drink for thirty years, and experiences of becoming invisible too. Also, how to learn these abilities for yourself. Enlightenment for Newbies-The subject of Enlightenment can be very confusing. The objective of this book is to introduce the concepts to readers and explain some of the processes to help seekers reach this Spiritual state. 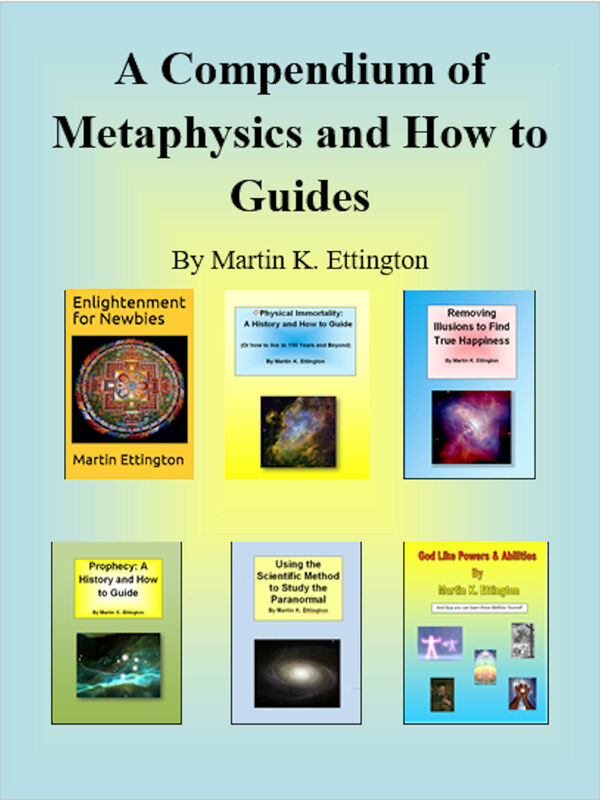 Also includes the Author’s experiences with Enlightenment.